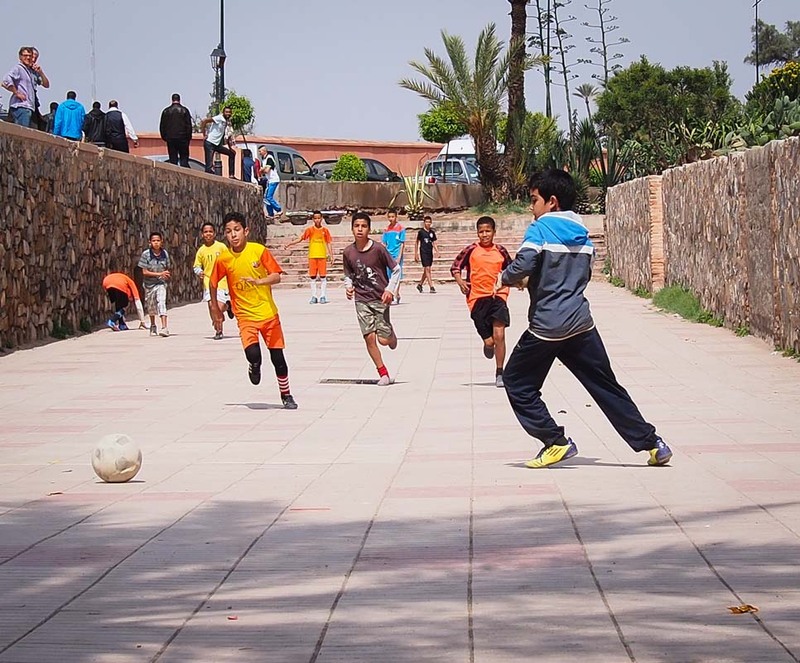 We came across this local kids’ soccer game in Marrakech. The sun was noon-high and blazing. The field was ideal for urban play, with walls on both sides so they rarely had to chase down the ball. It was fun to watch, and they paid me no mind as I shot some photos. It was tough with how bright and overhead the sun was, but I am happy enough with how they turned out. 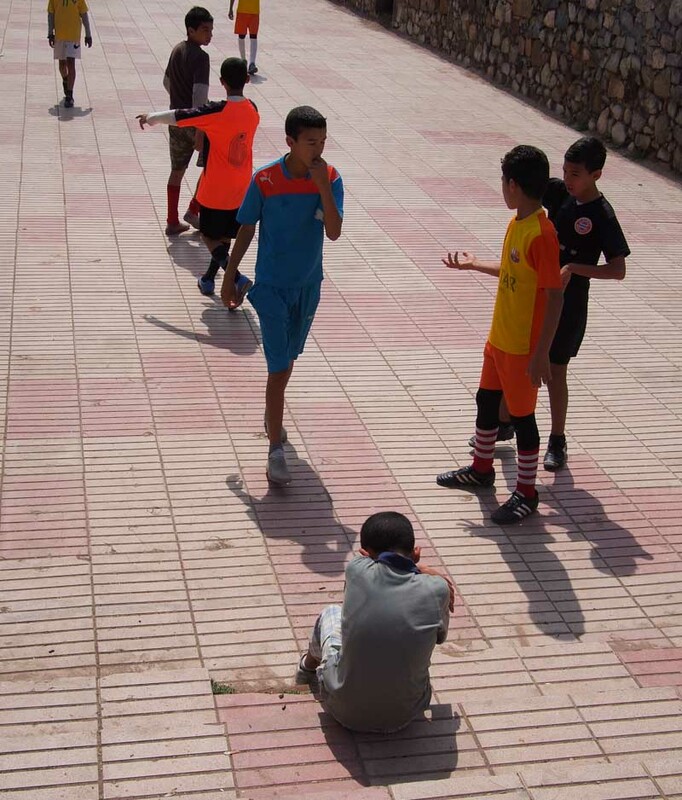 In the midst of what felt like such a different country, it was nice to just hang out and watch kids be kids. Soccer/Football/Futbol is most definitely the universal sport! This kid got fouled and was pretty upset… so much so that he threatened to pick up and throw the rock that acts as goal marker. Then though better of it and just sat down to cry.